FILLETS WITH CHICKEN IN GRAVY. 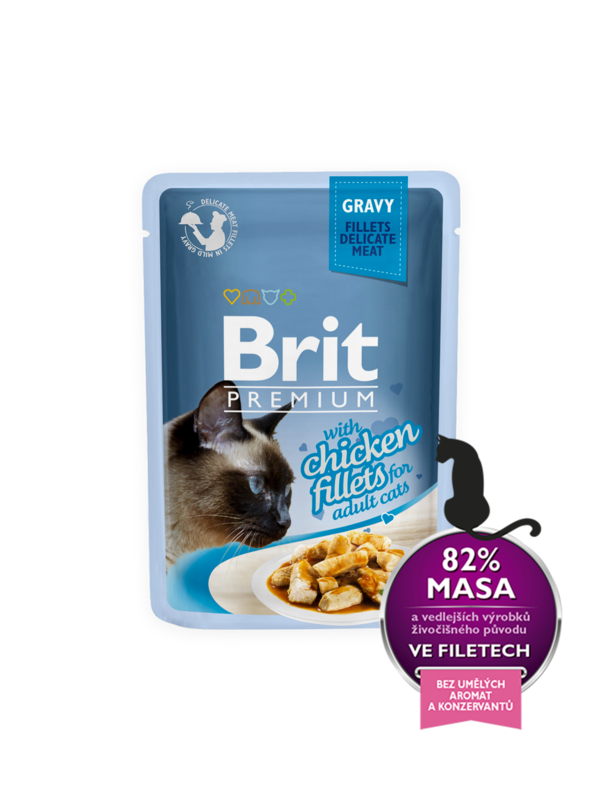 COMPLETE PREMIUM WET CAT FOOD FOR ADULT CATS. 82 % meat and animal derivatives in fillets (8% chicken), vegetable protein extracts, derivatives of vegetable origin (0.4% inulin), minerals, various sugars.